Sasha has a regal and noble bearing, but don’t be fooled; she is a fun-loving athlete with a heart of gold. Sasha is a medium-sized, active girl with a playful attitude. 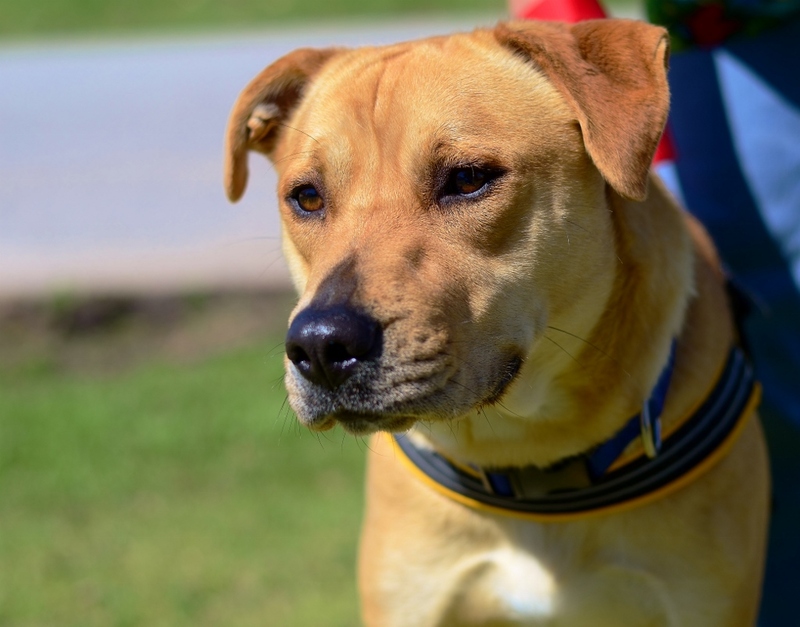 At 3-years-young, she’s the perfect companion for jogging or taking a leisurely walk. She has attended several meet and greets events, and proved to be great around people young and old. Her gold medal winning personality is rooted in her Retriever and American Staffordshire Terrier heritage and exceling on and off the field with her impressive loose leash walking, “sit”, and “down” skills. Sasha only has her eyes on one more prize — she hopes to win the hearts and home of a loving family. Come visit this golden girl today and see what makes Sasha such a star. Cinder has taken the phrase “work hard, play hard” to heart, only he prefers to skip the first step and head straight to playing hard. 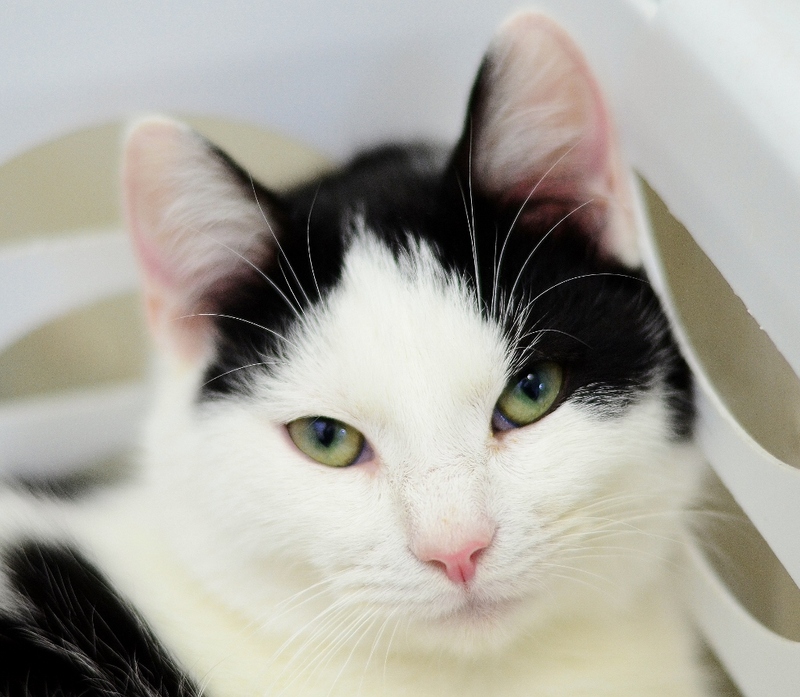 He’s a black and white, fluff ball of fun whose hijinks can make even the grumpiest souls grin. Cinder is 8 months old and has almost perfected his pounce. He would make a great indoor/outdoor kitty and could easily keep up with the most energetic family members. Cinder wins over other pets as easily as he does people, and plays well with cats and dogs alike. He hasn’t met any horses, goats, or piggies yet, but Cinder is pretty sure he could figure out how to play with them too. He’s all set to give a new family lots to laugh about and start a new adventure today!